We had another fun and productive night last night. Thank you so much to all of the wonderful women who gave up their Friday night to iron, cut, sew, iron again, cut again and sew these quilt tops! Thank you also to the many people who brought in fabric for this project. We finished these 2 quilt tops and many more blocks and strips to send along to Quilts for Quake Survivors. The remaining fabric will be donated to local groups who make quilts for our neighbors in need. Have a beautiful weekend, and happy sewing! A big Thank You to the fine customers who joined me this past Friday to iron, cut and piece fabric for quilt squares to donate to Quilts for Quake Survivors. And another big Thank You to everyone who donated fabric. We'll meet again this Friday, April 15th, from 6-9 at Treadle 2. 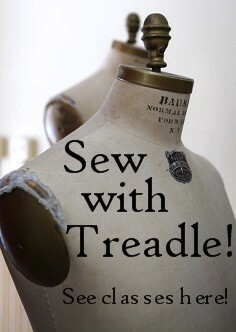 Treadle 2 is our classroom space which sits directly behind Treadle Yard Goods along Hamline Ave. If anyone would like to donate a completed quilt, you can send it to Seven Islands, Inc. This company imports Japanese fabric, and they have a partnership with Patchwork Tsushin - a Japanese quilting magazine. 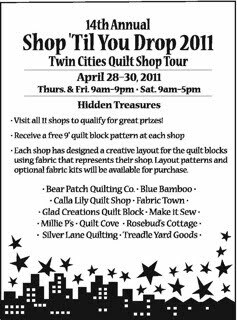 from the website - Quilts will be collected until April 30th. Seven Islands, Inc. will ship all quilts directly to Patchwork Tsushin in Japan, where the quilts will be distributed to the people in need. Thanks again for your hard work, ladies, and I look forward to seeing you again soon! We've all seen the devastation in Japan, and now there is something we can do together to help those families who have lost so much. 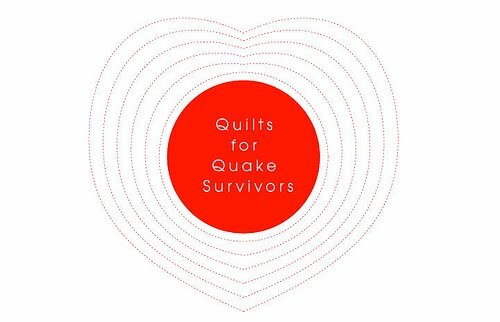 Quilts for Quake Survivors is the brainchild of Daniela and Susan (author of Modern Log Cabin Quilting). 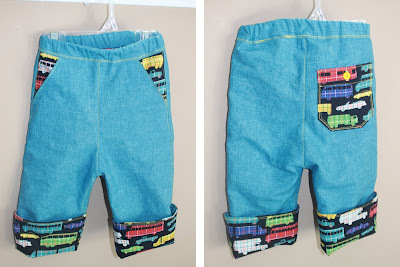 They're calling for supplies to make handmade lap and baby quilts to send to Japan. Please join us at Treadle 2 on April 8th and 15th, from 6-9 to cut strips, assemble blocks and hopefully put together some quilts for this great cause. We ask that you bring along your scraps, and any stash fabric that you would like to donate and we'll provide the log-cabin know-how. She designed and hand-sewed this ensemble, and on top of that she is a delight! Please send us more photos of your creations! We love to see what you're making. We're having our Anniversary sale from now until April 10th. All fabric has been marked down 20-50%. Please join us for some great deals, and be sure to congratulate Mary on her 35 years of business! the need for a new umbrella! Come join Rebecca as she shows you how to cover a vintage umbrella frame with a saucy vinyl-coated cotton print! 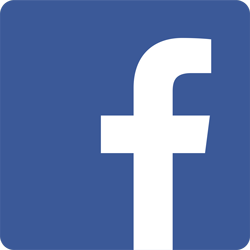 Saturdays 1-4 April 16 and 23.